I am not a fan of Achievement Awards or Participation Awards. 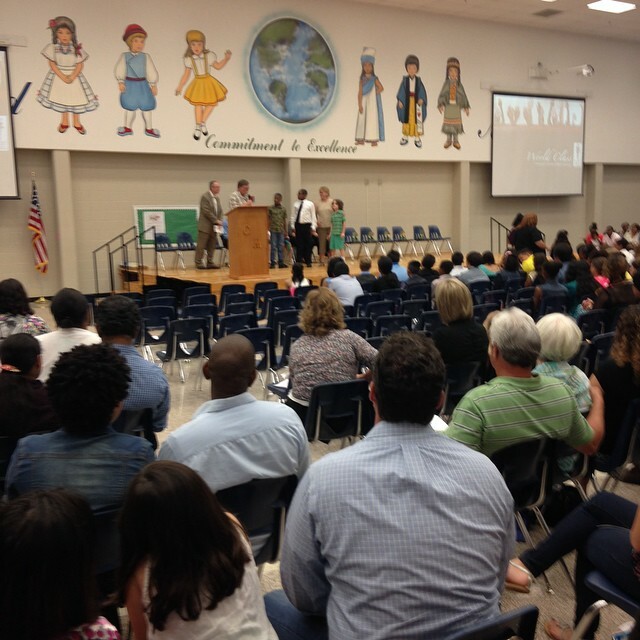 I don't think kids need an award for showing up. That doesn't develop them into people who think they have to WORK for anything. If everyone gets a ribbon or trophy, why are the ones for the winners special? They aren't. 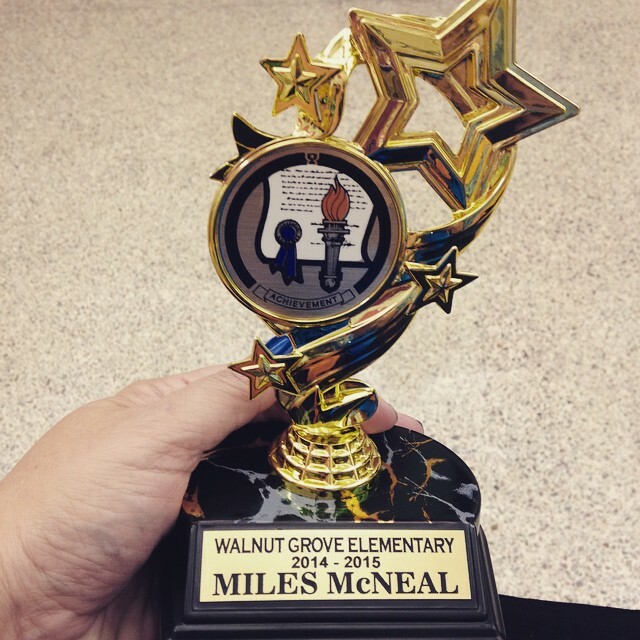 Miles got an achievement award last night, and his teacher spoke briefly of the things that he had accomplished in the three years he'd been with him. In truth, he's accomplished an amazing amount of things since we started him and his brother in Autism Pre-K all those years ago. He can ask for things - I want this, I want that. Etc. He can follow multi part instructions. He learned to take turns. He learned to play board games. He learned to play the xylophone. This is the short list. He started out as a four year old who screamed his wants and needs, who tantrummed all the time like Helen Keller for the most part and while being an affectionate, sweet baby was really just that - a giant baby. There was no willingness on his part to ever understand us, or listen and follow instructions. Today he has pretty much perfect receptive language skills, meaning - he TOTALLY understands us. He isn't a perfect child, in fact sometimes he's a complete a-hole. I can say that, I'm his mom. He is. If he were a typical child I think he'd be a real brat. Possibly not, but he's a handful. 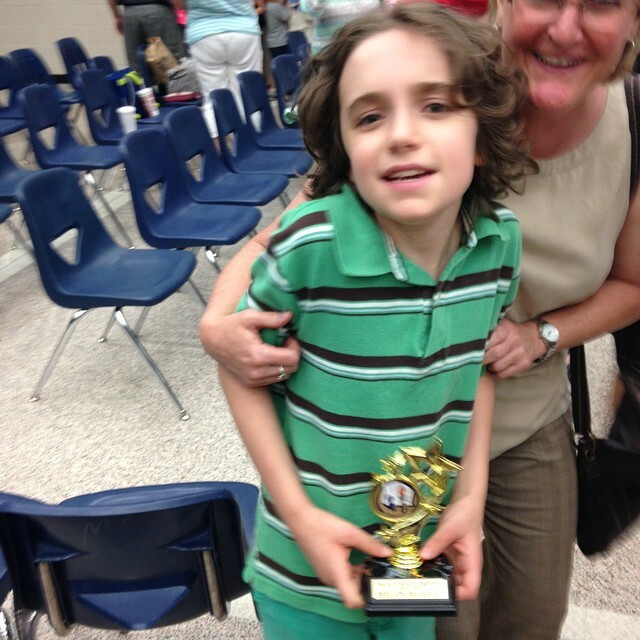 However, he's also smart, and funny, and he loves books now. He loves to snuggle. He plays, really plays, by himself. HE LOVES YOUTUBE. It's hilarious he's learned that he can enter in anything and watch videos. He must love to travel, and to go to McDonalds because he watches hotel videos from the major chains, and McDonalds commercials all the time. He probably won't ever be a child I get to have an actual conversation with, but in the time since we handed him over to the school system I think it's fair to say he has achieved an amazing amount. Next year for the first time in years he'll be in the same school with Charlie which I'm hoping reduces some of the scheduling crazy around here. So that's a real achievement award. My kid learned to talk. And pee in the potty. I'm glad to accept an award for that. Thank you Gwinnett County Schools. You are amazing.